The Capetonians’ build-up to this year’s Super Rugby campaign is currently dominated by politics. 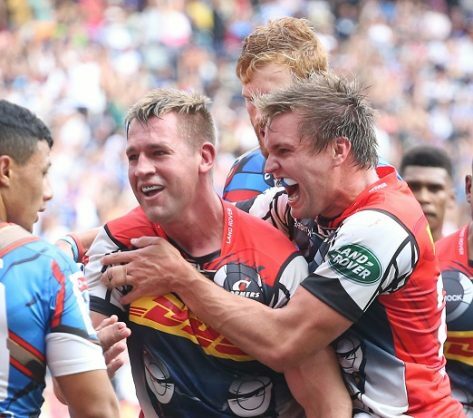 Stormers stand-in captain Chris van Zyl on Sunday lauded the players’ resolve in beating the Bulls at the #SuperHeroSunday pre-season day despite massive off-field dramas. The franchise is in the news once again after Rapport reported that former Western Province stalwarts, headed by former Bok skipper Corne Krige, are ready to intervene should the bigwigs at Newlands not address a list of grievances made by the players. It’s understood the majority of the Stormers’ player corps issued an ultimatum to management that they’ll publicly reveal various indiscretions, notably about the continued employment of Paul Treu as well as the amateur arm of the union undermining its business unit, should there not be “constructive communication”. The Stormers nonetheless played with spirit and decent skill in beating their northern rivals by 33-28. “For me, what’s important is that the players stay focused on what we could control,” said Van Zyl. “The coaches have done a good job in that regard. We’ve focused on on-field stuff. There’s a good feeling and energy among the players. It’s almost tangible. If you get that right this early, it’s a good thing because that’s not something that happens easily.